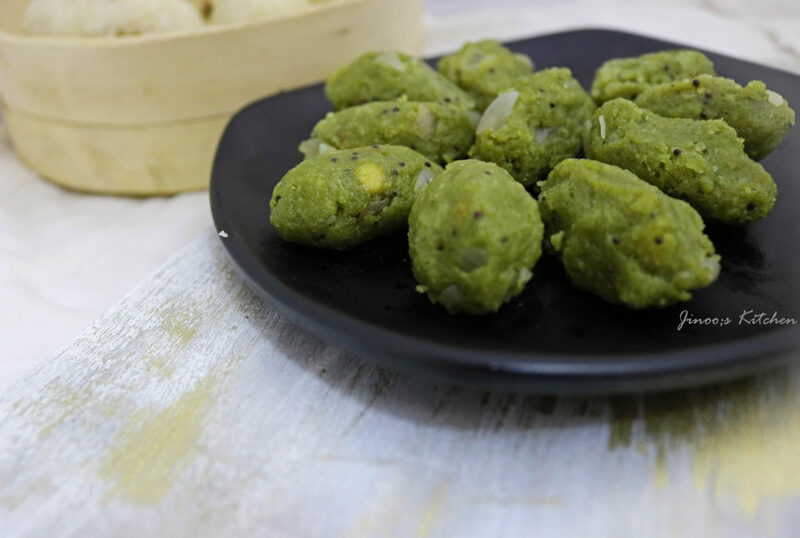 Palak Kozhukattai is an amazing recipe with the goodness of spinach infused into the rice mixture and seasoned to a mildly spiced dough which is then steam cooked to a healthy power packed snack! Soak Raw rice for 3-4 hours or even overnight. 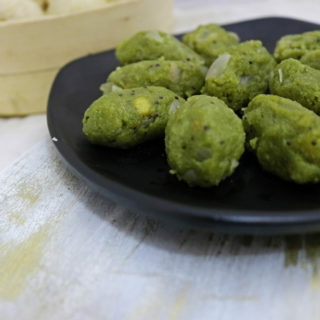 grind it with soaked raw rice, salt, ginger, garlic and green chilli. Without adding water. Add water only if necessary. Heat oil, splutter mustard seeds, urad dal and chana dal. pour in the Palak raw rice paste and keep stirring in simmer. until it is well combined and forms a ball like in consistency. switch off. Take all the kozhukattais and steam cook in idli pan for 10 min in medium flame.